In July 2010, an astonishingly large, naturally forming hailstone was recorded in the United States. At a weight of around 22 pounds, 19 inches in circumference, and 8 inches in diameter, though this stone was large, it was quite possibly one of many. Sizes of hailstones vary from pea-sized to softball-sized. However, any hailstone over 1.5 inches is almost guaranteed to leave some damage behind. For an unprepared roof, hailstones like this are bad news. Among some of the most unpredictable of weather events, hail can happen virtually anywhere by forming within the lower levels of thunderstorm clouds. Heavy rain and variable winds keep moisture in the clouds, forming into water droplets that fuse and freeze together. They are kept afloat in the clouds by storm updraft. Eventually, when the winds can no longer sustain the weight of the frozen pellets, they begin to fall to the ground unmelted. Though bouts of hail usually don’t last longer than several minutes, the damage they can leave in their wake is serious. The worst part? It’s difficult to see them coming. Hailstones may fall at speeds greater than 90 miles per hour. High-velocity winds can make the trajectory of hailstones hard to predict and increase damage, thus making it difficult to insure. Climate change is pushing risks of hail into Western and Northeastern states. Across the United States, 2017 is *hailed* as one of the worst years for hail damage, resulting in 11 million affected properties and $1.7 billion in property damage. Damage in Texas alone made up $1.3 million of that damage. In some states, more than half of their properties were damaged by hail, 57% in Kansas, and 55% in Oklahoma. Nearly every state in the US has experienced at least one major hail storm and we aren’t the only ones. In 2017, extreme weather and its subsequent damage caused $330 billion in global property damage and over $135 billion in insurance paid claims. 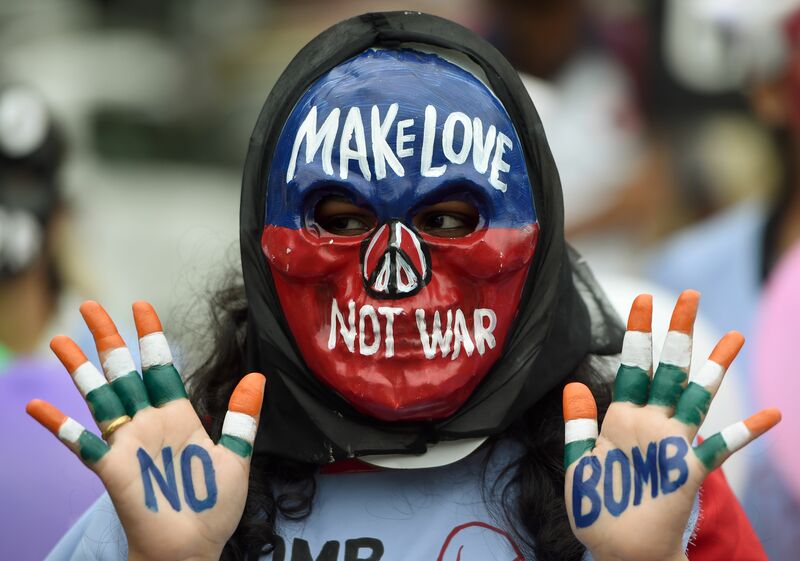 Highly destructive and unpredictable weather events are increasing all over the world. In the last three decades, the average number of natural weather catastrophes increased by nearly 175%, hail storms hitting every seven to nine days. In 1987, the average number of natural catastrophes was 490. Just last year, it was 850. Excluding Alaska, Rhode Island, and Hawaii, every state in the US has experienced threats and damage from falling hail. 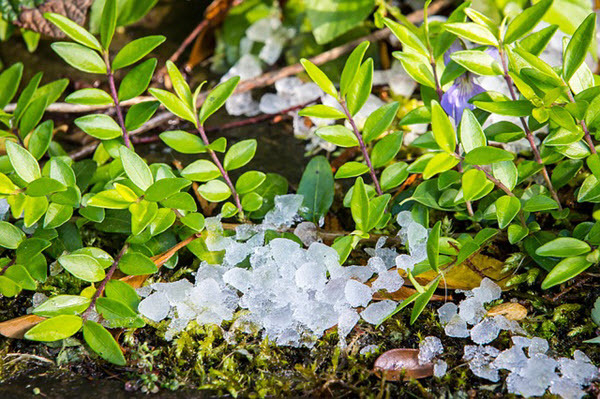 Every year, hailstorms cause more than $10 billion in damage all across North America. In terms of hail damage prevention, there’s currently only so much we can do. For properties within areas that frequently see thunderstorms and hail, the right roofing material can go a long way. Consider 26 gauge roofing instead of standard asphalt shingles and inspect your roof regularly for damage. After that point, it’s up to your insurance coverage to help protect your investment: your home. Yet, compared to other types of weather damage, hail is tough to insure for. Giving consumers the right quotes takes a lot of data and reliable methods of both predicting risk and assessing the damage. Up until this point, this wasn’t always possible. Hail damage is difficult to address immediately and insurers may file claims months after the event itself. Further development with IoT and more emerging technologies are helping insurers and homeowners get a better idea of the regional risks for hail and other types of weather damage. As insurance agencies turn to remote AI monitoring of properties, surrounding weather, and incoming storms, homeowners are also utilizing personal home monitors to help detect and stop leaks. At the end of the day, more and more consumers are getting the insurance coverage they need all the while educating themselves on the best practices for a truly hail-proof home. From damaged crops to cars to properties to people, the forces of Mother Nature are unpredictable. And while we cannot stop the weather from hitting, we can be ready to withstand whatever comes at us. See this infographic for more information on the increasing threats of hail damage, how technology is helping us see it coming, and what the next generation of weatherproofing looks like. Please include attribution to WeatherCheck.co with this graphic. The post How Tech Can Protect Your Home From Hail Damage appeared first on Dumb Little Man. As automation and artificial intelligence sweep through business, predictions for this amazing tech keep changing. Thanks to serious advances in this technology, some managers are looking at a high risk of losing their jobs to automation. But before you imagine your boss as a robot in a suit and tie, understanding the limitations of AI can help you prepare for our eventual future. No matter how high tech automation may be, it can’t do the whole job on its own. Just last year in 2018, Amazon was forced to scrap a state-of-the-art hiring algorithm. Blatant sexism and discrimination in the resumes it favored. Developed in an effort to avoid the intentional and unintentional bias of hiring managers, the system itself began picking up on those bad habits through the data it was fed. In the already male-dominated industry, the decade’s worth of resumes it reviewed to learn how to identify good candidates for successful hires were, not surprisingly, mostly male applicants. The results lead to the opposite effect of intentions as the computer began filtering out female applicants and listings of women colleges. Sure, screening algorithms like this work on the surface level — this means analyzing data, sorting through piles of resumes, and picking out the “best fit” for a position. But, the hiring part is a whole other ball game. More than half of small businesses use tech to help with the hiring process. They rely on it to pick up the slack so human managers can focus on the important parts. However, machines can’t get a personal feel for an applicant. They can’t predict how well they will fit in with the culture of the workplace. Simply, they can’t make those intuitive decisions. Those are best left to talented hiring experts. Let’s not get too carried away, however. If there’s anything you should learn from Amazon’s unfortunate hiring algorithm trial, it’s that placing too much trust and responsibilities in machines can be an algorithm for disaster. 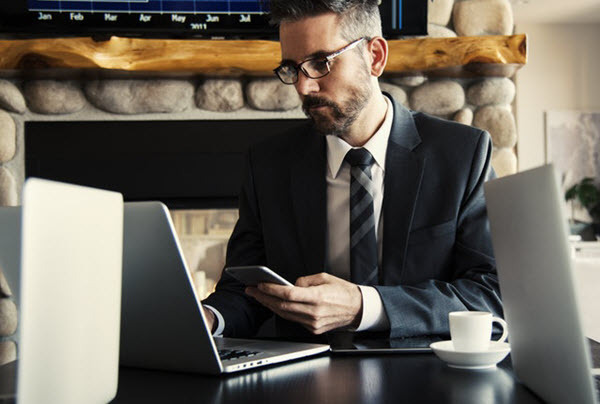 Understanding equally the capabilities and limitations is essential to finding the right kind of tech for any business’ needs. Generally speaking, the drawbacks of AI in business point in the direction of human skills and emotional intelligence. Screening algorithms, like behavioral assessments, may pinpoint the best candidates out of a large data pool. However, it can’t point out which candidates will personally mesh with a team. AI may analyze data in a way that identifies broken systems or unproductive workers and even suggest changes, but it will always overlook moral, ethical, and emotional factors. Customer service AI algorithms can quickly answer FAQs, direct questions from customers to the proper parties, and use past data to suggest solutions. 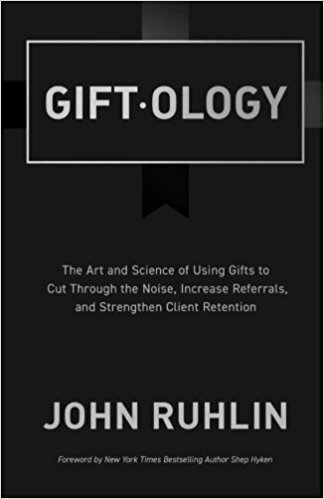 However, they are unable to build relationships with clients which may be detrimental to customer retention and satisfaction. How Can AI Streamline Your Business? So, you may already be considering the idea of stronger and more powerful automation support for your business. What’s the next step? Nearly one in five businesses reject the notion of new tech, considering it not worth the hassle of implementation or cost. Meanwhile, more than four in five believe that if they found the right kind of tech, their business could benefit from it. Find the right tech with a quick look under the hood, so to speak. Are there any daily tasks that disrupt valuable work? What responsibilities get downgraded or even ignored when urgent matters crop up? What daily tasks demand too much time and attention from managers? And what would be the ideal main purpose of new tech: mobile access, time-saving options, automation? The common theme of AI support is obvious and smart business leaders will see a clear takeaway. It’s to utilize tech to the highest potential in data management so that human managers can lead their team more effectively. Office AI is coming and it’s coming fast and the best and brightest of this tech could be at your very own fingertips. Ready to give your managers some brand new tools? Take a look at this infographic for more on how to find the right tech for your business, whether or not AI replaces your manager. The post Why You Shouldn’t Worry About AI Taking Your Job – Yet appeared first on Dumb Little Man. Apple has filed an appeal to overturn a court decision that could ban iPhone sales in China, the company said on Monday, adding that all of its models remain available in its third-largest market. The American giant is locked in a legal battle in the world’s biggest smartphone market. On Monday, Qualcomm announced that a court in Fujian Province has granted a preliminary injunction banning the import and sales of old iPhone models in China because they violated two patents owned by the American chipmaker. The patents in question relate to features enabling consumers to edit photos and manage apps on smartphone touchscreens, according to Qualcomm. “Apple continues to benefit from our intellectual property while refusing to compensate us. These Court orders are further confirmation of the strength of Qualcomm’s vast patent portfolio,” said Don Rosenberg, executive vice president and general counsel of Qualcomm, in a statement. Apple fought back in a statement calling Qualcomm’s effort to ban its products “another desperate move by a company whose illegal practices are under investigation by regulators around the world.” It also claimed that Qualcomm is asserting three patents they had never raised before, including one which has already been invalidated. It is unclear at this point what final effects the court injunction will have on Apple’s sales in China. The case is part of an ongoing global patent dispute between Qualcomm and Apple, which saw the former seek to block the manufacturing and sale of iPhones in China over patent issues pertaining to payments last year. 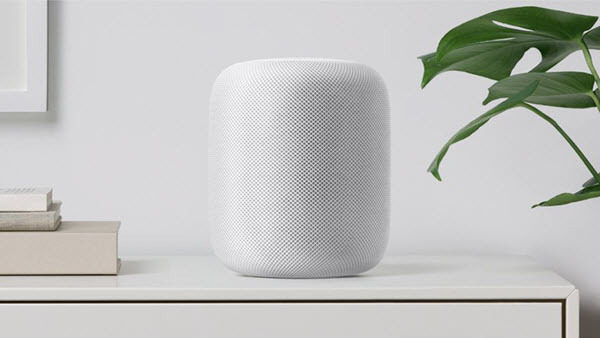 The Apple case comes as the tech giant faces intensifying competition in China, which represented 18 percent of its total sales from the third quarter. The American company’s market share in China shrunk from 7.2 percent to 6.7 percent year-over-year in the second quarter as local competitors Huawei and Oppo gained more ground, according to market research firm IDC. 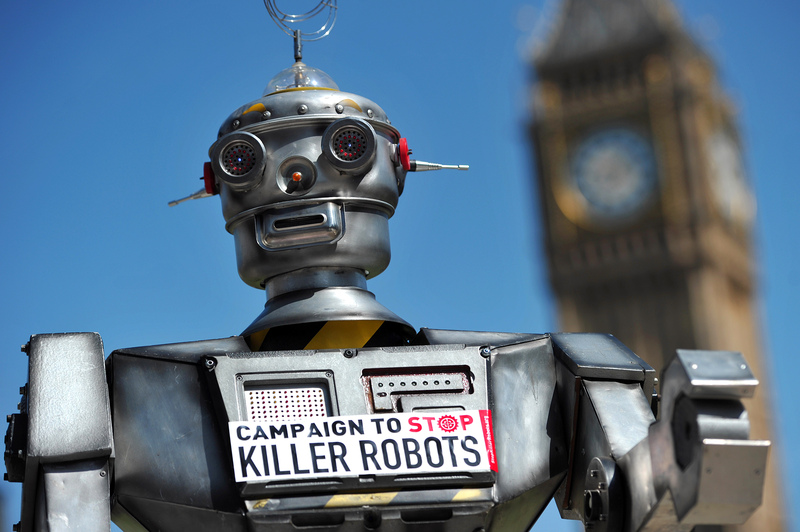 We’re not going to suddenly see a robot takeover in 2019. However, we will see the continued improvement and application of artificial intelligence in marketing. As software gets better, the strengths of AI remain: taking in and processing large amounts of information very quickly and performing tedious tasks without complaint. Next year, we will see marketers ramp up the integration of the application of artificial intelligence in marketing. Was this article written by artificial intelligence? Would you even be able to tell if it was? No, the current and near future of AI does not allow for writing fully creative and narrative pieces. However, many of the sports and finance articles you read are already authored by artificial intelligence. AI is helping marketers speed up and optimize many areas of content creation. As video takes over your Facebook newsfeed, AI is helping speed up the process of creating videos in a major way. Antonio Otalvaro, CEO of Raw Shorts, sees the value in automation and efficiency and knows that creators are mainly looking for a way to cut down on tedious tasks in their workflow. With video creation becoming faster and easier, he says we’re going to see people in all industries gravitate towards video as the communication medium of the future. 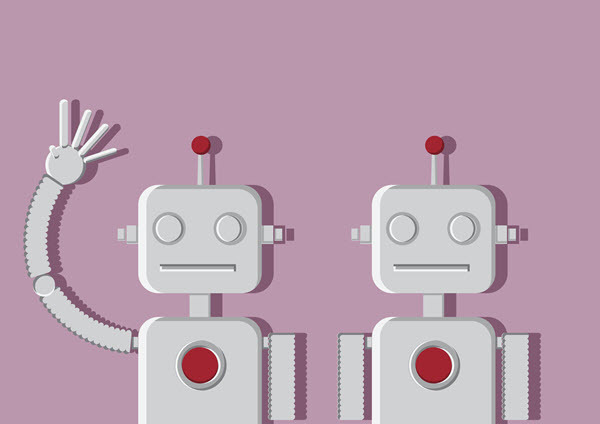 In 2019, you can expect to see a lot more marketers adopting AI for testing ad campaigns. There are a lot of pieces to an ad campaign, like slightly different wording, layout, and background images. An AI program can be given a handful of variables and can test them to see which ones perform best. One of the more tedious parts of any marketer’s day is creating and writing internal communication. This includes summary reports and descriptions of their projects. This can be automated fairly easily, as they typically follow a set format and need minimal input from the creator. Marketers can use AI to collect and analyze tons of data from email campaigns, ads, website visits, and so much more. All of these data help to create much more specific and targeted customer segments. AI will assist marketers in understanding their customers’ behavior better than ever before. Marketers will start utilizing AI to engage existing customers better by tailoring their experience with the brand. AI can process information much faster than any human. It can take in tons of data about a visitor in no time at all. Then, it can use that information to present the visitor with what he or she is more likely to interact and engage with. Marketers will also begin applying AI to retain customers. They can implement intelligent software that can learn when a customer is about to leave the page or abandon the brand for a competitor. When this happens, marketers can instruct the software to implement strategies that will help keep the customer engaged and discourage them from leaving. These steps can increase retention. The knowledge AI provides about customers will help marketers target them across all channels more effectively. In ad campaigns, AI can help with targeting viewers based on huge amounts of data, like location, demographics, and what device they are using. It can help optimize mobile marketing and make it easier for marketers to do the difficult job of demographic research. By showing them a specific, personalized, targeted message based on that information, they have a better chance at optimizing that interaction. Instead of a 22 to 35-year old female, she’s a 26 to 29-year old female who uses Facebook, loves cats, and is shopping around to invest in quality pieces to create her capsule wardrobe. We’ve seen the future of AI. It’s faster, more efficient, and more personalized than ever. Marketers will have more time to be creative as they spend less time doing boring and tedious tasks. Targeted and personalized messaging will become easier and much more common as AI helps marketers get to know their customers better and improve interactions between customers and brands. The post How AI Will Make Workflow Easier for Marketers in 2019 appeared first on Dumb Little Man. Renesas has already demoed self-driving car tech, which puts it into direct competition with the likes of Intel . Last year, the firm paid $3.2 billion to buy up Intersil, which develops technology for controlling battery voltage in hybrid and electric vehicles, and IDT deal pushes it further in that direction. “There’s little overlap between their product portfolios, so it’s a strategically sound move for Renesas. But it does seem like the price is a little high,” said Bloomberg analyst Masahiro Wakasugi. The IDT deal has been on the table for a couple of weeks after Renesas first revealed its interest in an acquisition last month. It is expected to close in the first half of 2019 following relevant approvals. What happens when you add AI to food? Surprisingly, you don’t get a hungry robot. Instead you get something like PixFood. PixFood lets you take pictures of food, identify available ingredients, and, at this stage, find out recipes you can make from your larder. They launched in August and currently have 3,000 monthly active users from 10,000 downloads. They’re working on perfecting the system for their first users. In my rudimentary tests the AI worked acceptably well and did not encourage me to eat a monkey. While the app begs the obvious question – why not just type in “corn?” – it’s an interesting use of vision technology that is definitely a step in the right direction. Tonnesson expects the AI to start connecting you with other players in the food space, allowing you to order corn (but not a monkey) from a number of providers. “Users should also expect partnerships with restaurants, grocery, meal-kit, and other food delivery services will be part of the future experiences,” he said. Digital Detox: Should You Switch Off For The Benefit Of Your Health? We are a nation of gadget addicts and knowing how to disconnect from technology isn’t easy for most of us. These days, it seems if we’re not quadruple-screening with the television, iPad, laptop, and phone, we’re checking relentless WhatsApp pings in meetings, snatching furtive glances at our iPhone’s glow in darkened cinemas and live-tweeting the births of our own children. It’s like the country – in fact, the whole planet – has hit peak internet. While the magic of the world wide web is undeniable, more and more of us are realizing that it might be time to switch off. Considering a digital detox? Wondering how to disconnect from technology? If you’re considering an electronic detox, you’re obviously aware that your level of screen-time is getting ridiculous. It’s truly admitting that you’re an addict that will set you on the path to digital detox success. While apps like Moment can help you monitor how much time you spend on your phone and how often you pick it up, a simple hand-written list of what gadgets you rely on, and which apps your eyes dart to again and again will help you see just how much technology rules your life. It gives you a chance to fall back in love with a pencil and paper. If seriously ousting your gadgets from daily life is a prospect too terrifying to deal with, a tech-free holiday might be your perfect compromise. 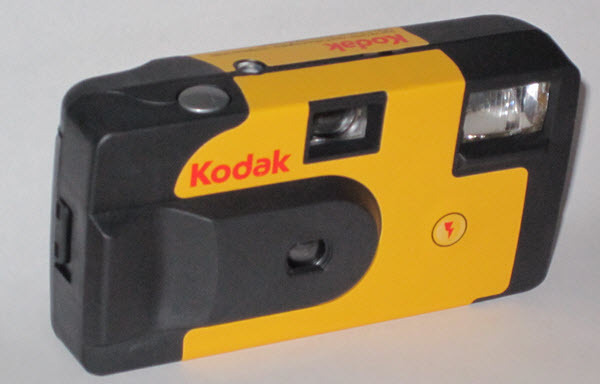 Grab some cheap and cheerful throw-away cameras so you won’t be tempted to reach for your phone. Head off to some place where the air is fresh and your biggest distraction will be the moo-ing of cows or the rustle of the breeze. This digital detox guide by holidaycottages.co.uk gives some serious insight into the potential benefits of powering down. On the subject of a notepad and pen, one of the best ways to gently ease yourself from the clutches of gadgets is to rediscover the chilled-out, back-in-the-day alternatives to these apps. The ‘Notes’ app on your phone can be one, for a start. There’s no purer joy than scribbling yourself a ‘To Do’ list and proudly ticking off the day’s essential tasks. Tell friends that if they need you, they should give you a call. You’ll be surprised at the wonders an hour-long chat with your partner can work. If Candy Crush is your happy place, a crossword or Sudoku may feel like hard work but after a day or two, your iPhone’s garish screen will seem painfully harsh. Set yourself some clear, manageable boundaries and work from there. Always checking your messages? Push notifications have to go. At first it’s tough and you may find yourself checking just as much to see what’s going on inside your suddenly silent apps. Set a time of day when you can catch up on your correspondence. If your Snapchat and Whatsapp are clogged with Kardashians memes or friends using the Impossibly Perfect filter, consider deleting the apps altogether. Leave your phone in one place and only use it when you need to. It’s better than keeping it with you for every tea-break and toilet trip like some buzzing, bleeping security blanket. Scrolling aimlessly before bedtime is a habit many of us are guilty of, but it’s also a dangerous one. If you need your evening Instagram fix, post or search with the lights on and then put your phone away. Take twenty to thirty minutes to read, meditate, write a diary or shower with your phone out of the way until morning. A proper old-fashioned alarm clock or a wake-up light will get you up and at ‘em without leading you into a Youtube vortex before breakfast. Imagine! The post Digital Detox: Should You Switch Off For The Benefit Of Your Health? appeared first on Dumb Little Man. As televisions evolve, so do all of the equipment that go with it. You bought a 4K television because you wanted a crystal clear picture with bright and bold colors. It follows that your sound quality should also be top-grade. This is why many people have started to buy soundbars for their home entertainment system. A soundbar is a one or two-piece system that functions as speakers for your 4K television. They’re specifically designed for people who are not able to install freestanding speakers for their television. Additionally, the sound output quality of just about any soundbar is infinitely better than you’d get with your traditional television speaker system. These devices are designed to fit seamlessly into a very compact and slender space. Soundbars generally only use two cords when you hook them up to your television. This eliminates the problem of clumsy cords hanging out the back and around your entertainment system. Most soundbars also play the sound back to you in surround sound. This allows you to immerse yourself in your show without taking up the usual space that a traditional surround sound system would. There are several speakers built along the entire length of the soundbar. You can set them and choose which output you want to use. When you start searching for a soundbar, you’ll notice very quickly that there is a subcategory called a sound base. Both of these devices perform the same action. They give you crystal clear and uninterrupted sound quality. However, a sound base is designed to sit on a shelf or TV stand. They’re durable enough to support your television’s weight. Additionally, a sound base can’t be mounted on a wall as a soundbar can. 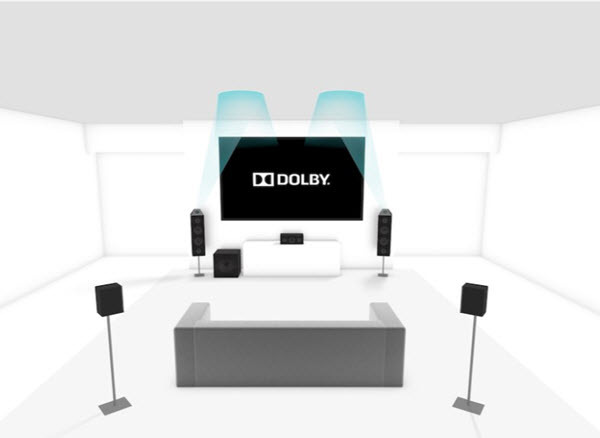 Dolby Studios released Dolby Atmos to take their viewers listening experience up to the next level. They added layers and layers of sound to a traditional listening experience. This layering was made possible because the rich sound comes from above the listener. Any sound you hear can travel in a variety of directions. In turn, you get a surround sound experience that’s better than ever before. To get the most out of your 4K television, you want to be able to experience the sound that comes with your UHD-Blu-rays. This is known as DTS:X sound. A soundbar can take this clear audio and magnify it, so you get full room-filling sound. Additionally, it can help to project it around the room. It turn, you’ll get a viewing experience that matches your 4K television. There are generally two different types of soundbars available. They both perform the same task of enriching your audio experience. The mounting system is what makes them different. A traditional soundbar is designed to sit right in front of your television. Some companies are designing them to blend right in with your television to increase the overall aesthetic appeal. They’re very slender in build. This makes them easy to set on a smaller television stand without a problem. 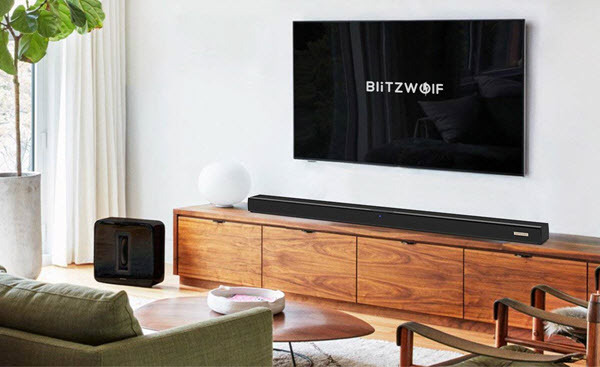 The second type of soundbar available is the wall-mounted soundbar. This is a great alternative for people who want to hang their 4K television up on the wall. Mounting your soundbar on the wall creates a clean and sleek look. You get mounting hardware included when you buy your soundbar. This allows you to install it yourself quickly and easily. 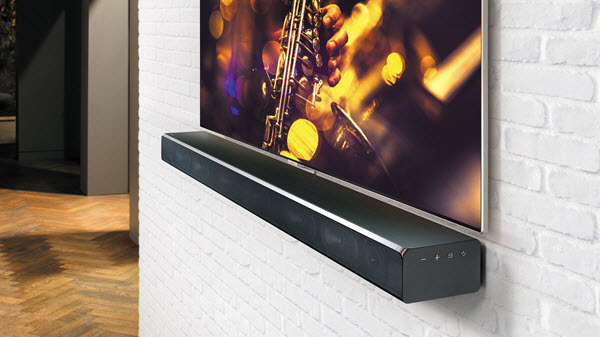 Aesthetics: A soundbar can add a clean and modern look to your entertainment system. They’re designed to be sleek, space-saving, and they appeal to people who like the more modern design. Audio Projection: As we mentioned above, soundbars can project the audio up toward the ceiling of your room. This will cause the audio to come from all angles when you use the soundbar. You’ll be able to immerse yourself with clear, room-filling sound. Sound Quality: People want their sound quality to match their new 4K television quality. A soundbar gives a sound quality that is unmatched by traditional television speakers. This includes the speakers on your new 4K television. Subwoofer: If you’re after that deep bass sound, you can purchase a subwoofer to add on to your soundbar. You can also find a soundbar that comes with an additional subwoofer included. This will let you experience the entire range of sounds each time you use it. When it comes to buy soundbar, there are several important benefits that come with this purchase. It’s important that you shop around and compare various options, so you’re sure that you find the correct soundbar to suit your needs. If you do this, you’ll get a sleek addition to your home entertainment system that gives you sharp, clear, and rich room-filling sound quality. The post Why You Should Buy a Soundbar for your 4K TV appeared first on Dumb Little Man. If you’re not on time with your bills, it’s important that you stay aware of the latest debt collection technology. From your smartphone to Ringless voicemails, debt collectors have gone high-tech to help increase payments. While agencies argue that their methods benefit customers and allow collectors to complete their mission, debtors are left surprised and consumer advocates are beyond angry. A lot of debt collectors are excellent in finding ways to test and defy the laws that put a limit on how often they can call their clients. One of those ways allows them to send voicemails directly to phones without causing a ring. Due to a technicality, these messages don’t appear as calls but messages that show up as voicemails. The Consumer Protection Firm’s attorney Billy Howard doesn’t fall in line with companies like Stratics Networks who argue that no violations of regulations occur because auto-dialed collections technically are not phone calls. “They’re trying to torture the language of the Telephone Consumer Protection Act,” says Howard. Senior sales vice president Paul Gies of VoApps Inc. believes differently. Gies argues that customers prefer ringless messages to standard calling because it creates less pressure to respond immediately. Consumers can return when they’re able to without feeling forced. He adds that collectors believe the system works too well. And it’s not only the consumer Gies believes he’s looking out for. Even clients tell them that they overwhelm their call centers with inbound volume. Friendly avatars can increase the likelihood of payment from debtors than when they visit typical sites. That is according to Tom Gillespie Jr. who works as the chief executive of BeGuided Inc.
His collection company, Access Receivables Management Inc., works under the idea that “nice people collect more”. They aim to turn around traditional interpretations of debt collectors by moving away from practices like threat and insults with characters like Zoey. This animated avatar appears in borrowers’ inbox and guides them through the debt repayment process. Zoey and avatars like her have a wide range of character traits. From access to multiple languages to the ability to smooth-talk borrowers into repaying debts, these avatars offer a personal approach. They also have access to credit histories to allow for better payment plans for debtors. “In the last year, we’ve sent out millions of emails” notes Gillespie, “We’ve had zero consumer pushback” when using avatars. Cursing during conversations with debt collectors will be met with prompts provided by CallMiner Inc. software. It helps direct discussions back to where they need to go. These programs evaluate keywords used during conversations to identify emotions. The color-based box system used by Supervisors incorporates the company’s speech-analytics system. Colors communicate the agent’s standing while interacting with a debtor. Green means that the conversation is typical and the agent is providing necessary information like “mini-Miranda” rights for debtors to understand their rights. If a box changes color to red, it signifies a problem. Maybe an agent is experiencing difficulty or there’s profanity. “A supervisor can consider barging in and taking over the call, or whispering into the agent’s side of the call,” CallMiner marketing vice president Scott Kendrick explains. The Eureka program of CallMiner has multiple functions. It can provide a ranking system for agents and guide the negotiations for valid results. It can even step in and give better responses when an agent struggles to make an emotional connection with the borrower. Debt collection agencies like FidoTrack LLC in Vermont use video game tactics to motivate agents to compete against each other to improve performance. This shouldn’t be surprising, considering collection agencies are known for not caring or being reachable. Agents at FidoTrack improve their sales by 19% according to Brosseau through these types of regulated games. He adds that consumer complaints are down as well with shorter calls and a better response. The game-like competition between collectors may make work more enjoyable but debtors surely aren’t enjoying them. 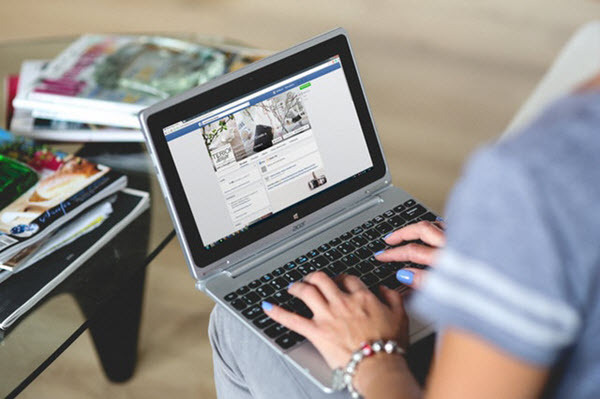 Skip tracing makes it difficult for debtors to hide from collection agencies because agents look through various social media to locate them. While some collectors will merely use social media, others are taking more aggressive approaches. An agency in Texas, for example, links the Social Security Numbers of their clients to their social media accounts, causing upset among specific groups. Spoofing, on the other hand, is a tactic employed by agents who change their area code to match the debtor’s local one. This tricks the debtor into responding. The Consumer Financial Protection Bureau advocates for canceling this practice. If consumers feel they have been mistreated, they have options. They can either complain to the right government agency or they can sue the agents. This opens them up to something called scrubbing. Collectors look through lists of databases when they are scrubbing to remove potential hazards. These “banana peels”, as they are called in the industry, are people who have litigious records and are seen as unnecessary hazards. The post Debt Collection Technology Updates You Need to Be Aware Of appeared first on Dumb Little Man. Google raised the curtain with a splashy announcement that they’d be setting up their fifth cloud region in the U.S. in Los Angeles. Keeping the focus squarely on tools for artists and designers the company talked up its tools like Zync Render, which Google acquired back in 2014, and Anvato, a video streaming and monetization platform it acquired in 2016. While Google just launched its LA hub, Microsoft has operated a cloud region in Southern California for a while, and started wooing Hollywood last year at the National Association of Broadcasters conference, according to Tad Brockway, a general manager for Azure’s storage and media business. Founded by a former Pixar and DreamWorks animator, Rex Grignon, Nimble launched in 2014 and has raised just under $10 million from investors including the UCLA VC Fund and New Enterprise Associates, according to Crunchbase. There’s a lot at stake for Microsoft, Google and Amazon as entertainment companies look to migrate to managed computing services. Tech firms like IBM have been pitching the advantages of cloud computing for Hollywood since 2010, but it’s only recently that companies have begun courting the entertainment industry in earnest. While leaders like Netflix migrated to cloud services in 2012 and 21st Century Fox worked with HP to get its infrastructure on cloud computing, other companies have lagged. Now companies like Microsoft, Google, and Amazon are competing for their business as more companies wake up to the pressures and demands for more flexible technology architectures. As broadcasters face more demanding consumers, fragmented audiences, and greater time pressures to produce and distribute more content more quickly, cloud architectures for technology infrastructure can provide a solution, tech vendors argue. Stepping into the breach, cloud computing and technology service providers like Google, Amazon, and Microsoft are trying to buy up startups servicing the entertainment market specifically, or lock in vendors like Nimble through exclusive partnerships that they can leverage to win new customers. For instance, Microsoft bought Avere Systems in January, and Google picked up Anvato in 2016 to woo entertainment companies. 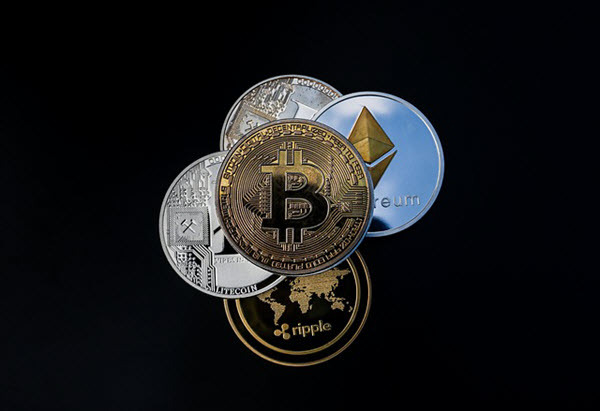 The result should be lower cost tools for a broader swath of the market, and promote more cross-pollination across different geographies, according to Grignon, Nimble’s chief executive. There are other, more obvious advantages as well. Streaming — exemplified by the relationship between Amazon and Netflix is well understood — but the possibility to bring costs down by moving to cloud architectures holds several other distribution advantages as well as simplifying processes across pre- and post-production, insiders said. 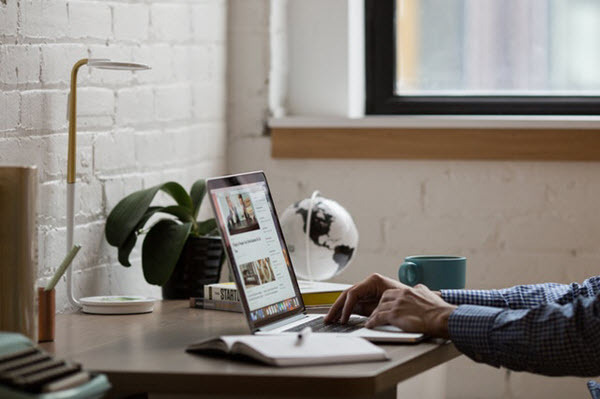 If you want your business to succeed in the modern world, you’re going to have to think long and hard about how to establish your online presence. The first thing you should do is put yourself in the shoes of the client that you are trying to win over. Ask yourself: where’s the first place they’re going to look? You guessed it – Google. Searching on the Internet is by far the fastest way to get access to information about anything. This is why most people don’t look anywhere else. Technology is quickly changing the way we do business. With that, our perspective also needs to change if we want to stay on top of our marketing game. If you want your business to be found by your clientele, you have to establish a presence in the very place that they’re going to look – the world wide web. This is what having an online presence means. If you don’t have a website or a page on social media yet, you need to ask yourself – what exactly is stopping you from doing so? Is it your time or budget? Or are you simply clueless about what a good website is and what it should be able to offer to your clientele? Many people think that they aren’t tech savvy enough to start with it. However, the truth is that you don’t really need to be proficient about technology at all. The tools we have access to these days are so advanced. I assure you that establishing an online presence and building a website is not as difficult as it used to be in the past. One of the main reasons for that is the fact that we have access to artificial intelligence. Artificial intelligence is a computer’s ability to think instead of just being told what to do. When you open a browser and type in a web address, your computer takes you to that address. Basically, it is just following orders and you’re the one doing the actual thinking. AI is the next step. It can improvise and come up with solutions independently. In other words, with AI, you don’t have to be extra specific. It can think for itself. An AI website builder is a piece of software that uses artificial intelligence and machine learning to listen to your input and create something based on that. It listens to you and then it takes some extra steps to build your website. The best thing about it is that AI guides you throughout the process. It doesn’t need you to be tech savvy at all. AI website builders out there are Bookmark, Firedrop, The Grid, and Wix ADI. Read reviews if you’re interested. There are plenty of advantages of using artificial intelligence to build your website. But first, let’s look at the alternatives. One of them is doing the whole thing yourself– designing your page, adding functionality, and fiddling with databases. It’s a very complex process that requires skills you can’t just pick up in a day or two. Another alternative is paying someone to do it for you. But even an experienced web developer needs time to work on your website before it can go live. Dedicated web development companies will take a month or two and they can be quite expensive. Using an AI website builder solves both of these problems. It’s much cheaper and you can have your fully functional website available within the day. Will my website be unique? A common misconception with AI website builders is that your website won’t be as unique as it needs to be. And while it is possible to see where this kind of concern comes from, it really isn’t as much of a problem as most people are led to believe. Your website won’t just be built by a computer. It will be built by you and the computer together. There’s a big difference. And as I mentioned, the results you’ll receive will directly depend on the input you provide. Can AI optimize my website? Most modern website builders do a lot more than just build up a web page that looks good and works well. They can also help you with SEO (search engine optimization) and your site’s user-friendliness. A lot of those things will be up to you but the good thing is that it is pretty hard to mess up when you’re using AI. All the options that you have at your disposal will already lead you to a fairly optimized website that is ready to go. Artificial intelligence is slowly taking ground in modern society. As technology evolves further, we’re bound to see more of it in almost every aspect of our lives. Just the fact that AI has come far enough to aid us in a process as complex as web development is already amazing. It is definitely something you should be taking advantage of as a small business. So, if you need a website pronto and aren’t overstocked with time and money at the moment, AI is the way to go. The post How to Easily Build Your Website with AI appeared first on Dumb Little Man. As technology continues to develop, the same should happen to your IT skills. 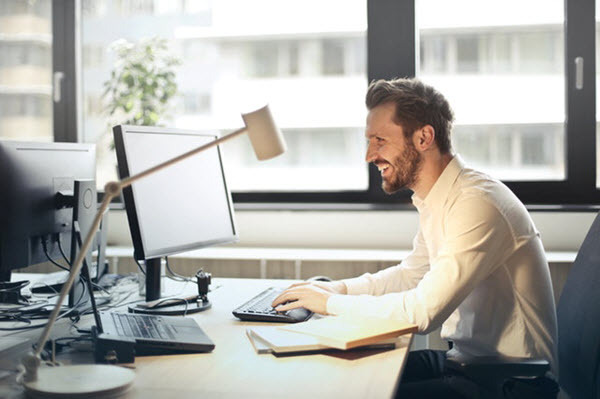 Employers only seek out the best IT specialists and the only way to get ahead of your competition is to keep learning and refining your skills. Becoming complacent is the worst thing any professional could do as this makes you less likely to progress towards your ultimate goals. As a guide, here are sure ways to consistently improve your IT skills. If there are specific weak points that are dragging you down, consider doing something about them. If, for example, coding is not your strongest point, figure out why this is the case. It may be that you need extra mentoring. Reading technical books is hugely beneficial, too. They typically contain helpful information and step-by-step guides which can help you grow as an IT specialist. Firstly, to self-improve, you must feel confident about yourself and your position in the IT world. Regardless of the industry, the development of automation is inevitable but this should not impact your career potential. In a report by CompTIA, they stated that an estimated figure of 5.4 million US individuals was hired in the information technology sector. Compared to previous years, this reflects an increase of 2.1%. In 2018, people should expect to see the same growth. Knowing this, IT professionals can feel safe that their jobs will not be replaced by automation anytime soon. You might already have a resume filled with qualifications but these can quickly become outdated and irrelevant in the IT industry. 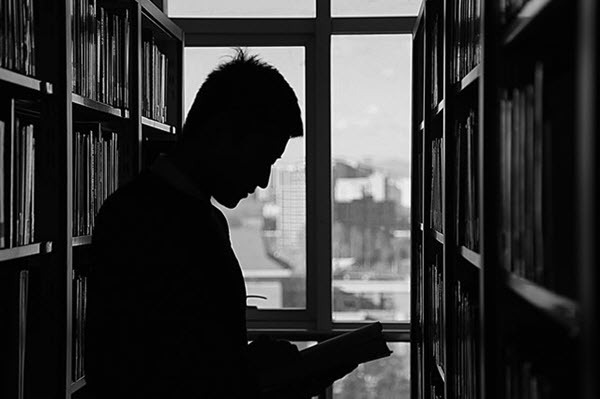 Certain certifications hold value for IT pros and are more meaningful than others. These include the CAP (Certified Analytics Professional), MCSE (Microsoft Certified Solutions Expert) and more. As identified by Indeed.com, the most in-demand IT jobs include Java Developer, Network Engineer, and Software Developer. Therefore, adapting your resume to suit these types of jobs will give you an advantage over others. Education is one of the best ways of learning more of what you enjoy. However, work experience is even better. Taking what you learn and putting it into practice not only improves your IT skills but your transferable skills, too. Boasting great initiative, problem-solving, and decision-making skills will look fantastic on your resume and give you a well-rounded profile. Regarding work opportunities, it is great to get more exposure by taking up opportunities you would not normally accept. By doing different projects and jobs, you are learning a variety of things, whether it is a new computer programme or application. A brilliant way of staying fresh with new tech is to keep on top of tech news. Do it even if you have a really packed schedule. Read discussions, watch the news, and join forums so you can stay updated with the latest technology. Keep on the lookout for industry conferences and webcasts, which happen all year round. There are plenty of online guides which can keep you informed of worldwide tech events. Typically, these events give inspirational talks, information about new technology, and heavy debates about political changes. Attending these are also a brilliant way of networking and promoting yourself to IT firms. Online resources, like webinars, articles, podcasts, and videos, are great, too. 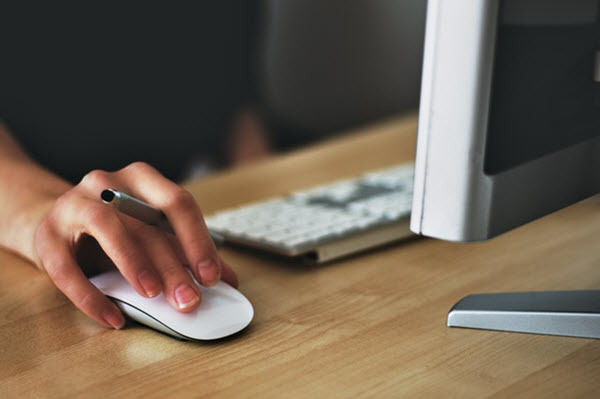 By using online resources, you have the benefit of learning during your free time whilst choosing specifically what skills you want to focus on. The key is to stay one step ahead of the game, especially in a world where technology has no limits. With dedication and hard work, you can go from professional to elite and feel confident about your place in the IT world. 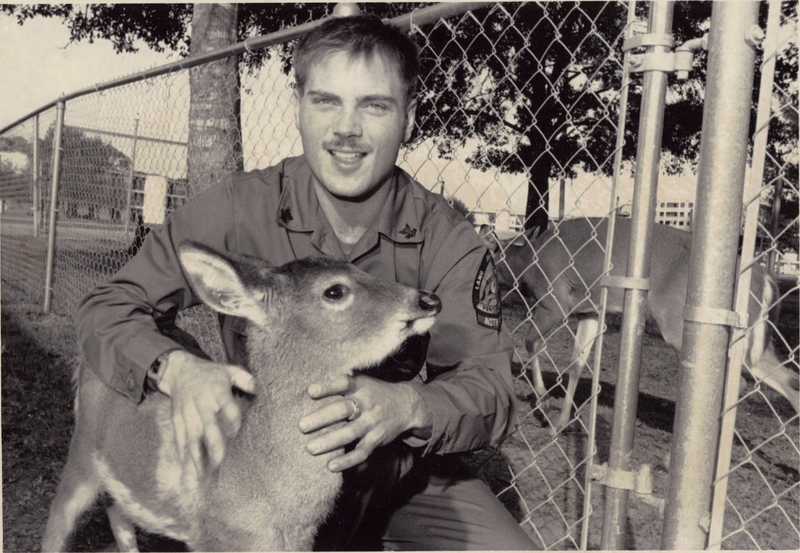 The post 6 Ways to Constantly Improve IT Skills appeared first on Dumb Little Man. In today’s society, people are used to getting a taste of products for free. When a product or service is so high-quality that its creator is confident enough to give it away, that tells audiences it’s truly valuable. 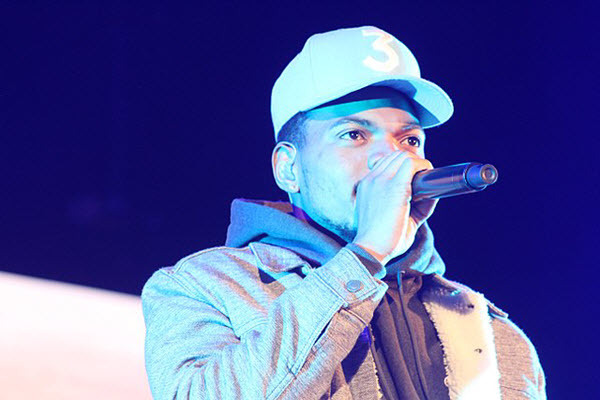 Take Chance the Rapper, for example: He has risen to stardom over the past seven years — performing for President Barack Obama at the White House, hosting “Saturday Night Live,” and winning three Grammys in 2017 for his rap album “Coloring Book.” If that’s not impressive enough, he managed it all while giving fans his music for free. He’s taken the road less traveled, and zigging when everyone else is zagging, drawing attention from his fans. When building a brand, most people focus on scrounging for every penny to help them rise to the top. But like Chance, I focus on what I can achieve alone, then collaborate with others to let them shine. In my case, that means partnering with the people providing me gifts, then putting the spotlight on them. A core value of my business is relationship-building because even if I can give only a little at the start of a relationship, my partners and I will grow together over time. Build a giving mentality into the fabric of your personal brand to help set it apart. As often as you can, donate time or resources to give back to the people or companies that helped you get where you are. Chance, for example, champions causes and invests time and money into revamping Chicago and its public schools. Ensure the messaging you create to market your personal brand focuses on how you’ve helped others, not on how you’ve helped yourself. I follow the Gary Vaynerchuk mindset of playing the long game, which Chance demonstrates with every album he releases. While giving his music away for free might seem crazy at first, he’s really just building good faith with his audience, which pays off in spades. It’s the same reason I ask anybody I’m engaging whether I can comp a gift on his behalf to help him look good. This freemium model has helped us land a number of clients, including pro sports teams like the Orlando Magic, and it builds goodwill. Make the first move of generosity by giving your connections something on the front end. It doesn’t have to be an extravagant gift, either. Maybe you can only afford to take someone out for coffee at a trendy local shop while you network and send him a handwritten thank-you note after your meeting — that’s OK. That act of kindness can be enough to keep you top of mind the next time an opportunity comes along that should have your name written all over it. Any time you can surprise and delight by blazing your own trail is a chance to impress those around you. Just because society has set a standard doesn’t mean you can’t change it. Chance the Rapper doesn’t bow to the pressure of $10 million offers from record labels; he pursues his own vision. Technology has made it easier than ever to build a brand that bucks the status quo, regardless of your credentials. It’s also a great opportunity to set yourself apart from competitors. Going off the beaten path can be a powerful indicator of who you are and what your brand is. Breaking patterns gets noticed, so whether you’re simply changing the way you present yourself on social media or pulling stunts in your community to generate buzz, don’t be afraid to stand out from the crowd. Chance the Rapper is known not only for offering his music for free and for his charitable work, but also for becoming a lifestyle icon. No matter your industry, chances are good your personal brand will benefit if you take a page from his book. Take it from me: A personal brand built with authenticity will take you far. The post 3 Ways To Build A Personal Brand Based On Authenticity appeared first on Dumb Little Man. The UK is one of the leading countries in the world when it comes to technology and in 2017, the tech sector saw a record amount of investment at nearly £3 billion. This was almost double the amount that was spent in the previous year. At a time of great uncertainty and with Brexit looming in the background, this just goes to show how powerful and infallible the tech industry is. As the tech industry continues to evolve at a rapid pace, 2018 promises to be another massive year. Tech events are great if you want to keep up to date with all the latest trends and developments in the industry. They’re also a great opportunity to network with peers and learn from the most influential thought leaders around. Whether you’re interested in cybersecurity, artificial intelligence or digital marketing, there’s an event out there that will help you and your business to grow. Wearable technology has been soaring in popularity over the last few years, with many brands recognizing its huge potential. It has been used in sports, fitness, healthcare and augmented reality. 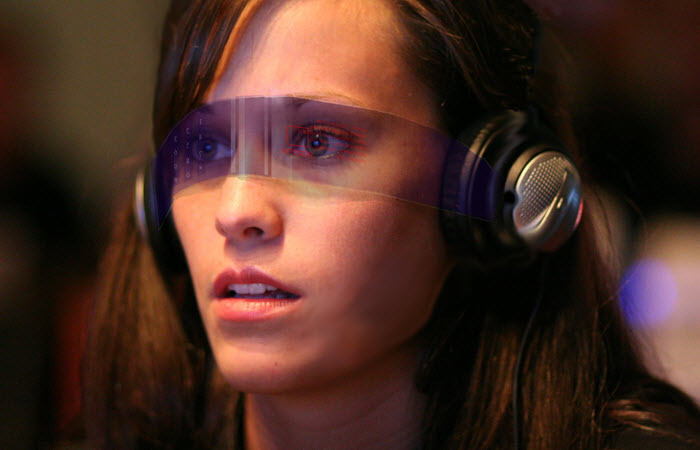 The Wearable Technology Show will be held at the ExCel Centre in London over two days. It will showcase the latest and most innovative wearable gears to date. There will be a range of different speakers and workshops that you can participate in. As our reliance on the digital world grows each year, so too does the need to improve cybersecurity. The threat of fraud, hacking, data theft and other nefarious activities online remain more prevalent than ever. This is why cyber security is so important. Cyber UK will take place at the Manchester Central Convention Complex for three days. It will play host to thousands of delegates and online security experts from around the world. The event is organized by the National Cyber Security Centre. It will include a number of different workshops, briefings, and talks from thought leaders, government representatives, and many more. London Tech Week is the largest festival of tech in Europe, attracting more than 55,000 attendees from over 90 countries. The event is an all-encompassing celebration of all things tech-related. There, you’ll see techs linked to virtual reality, artificial intelligence, 3D printing, and cybersecurity. As a business, you have the opportunity to exhibit some of your work. You’ll also be able to network with and learn from some of the most creative minds out there. The Prince’s Trust Gala Dinner and the Leaders In Tech Summit will both be in the lineup while you’ll also have the chance to watch some exciting F1H20 Powerboat Racing take place. 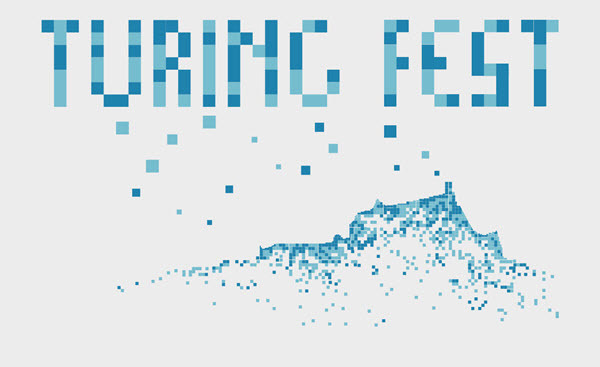 The Turing Fest in Edinburgh this year promises to be the biggest one yet, with six conference tracks providing an insight into how the most successful businesses use technology to grow and stay relevant. The event will be attended by some hugely successful CEOs, such as Eric Yuan of Zoom, Des Traynor of Intercom, and Samantha Noble of Biddable Moments. You’ll have the opportunity to network and share tech insights with like-minded peers and participate in a range of panel workshops and keynotes. There’ll also be some additional informal fringe events. 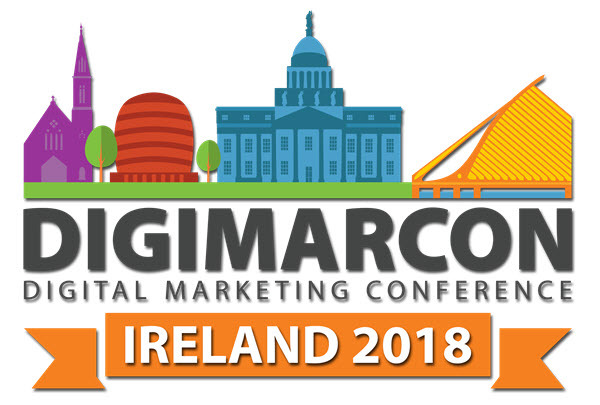 While DigiMarCon Ireland is one of the largest Irish digital marketing events, it actually takes place in Heathrow, London. This event is not only ideal for digital marketing companies and startups but also for any brand that wants to grow and expand their reach. You’ll be able to find out about all the latest developments in terms of generating traffic, boosting brand awareness, and improving lead generation. You will also know more about content marketing, SEO, and geotargeting during this two-day event. It’s also worth noting that there are many other outstanding tech events that take place internationally, particularly in Australia and America. So, consider heading overseas to expand your tech knowledge- a perfect excuse to spend some of that business trip budget! The post The Top Tech Events You Need To Attend For Your Business This Year appeared first on Dumb Little Man. There’s really no such thing as the most secure browser. In a poll in 2013, Firefox was voted as the most secure web browser. However, in a hacking contest in March of 2014, Firefox was deemed as the least secure after it went down to four zero-day exploits. Because you can’t really rely on one browser to protect you and your data, it’s critical that you know how to make your favorite browser the most secure browser for you. The most convenient way to start using any device, including browsers, is by its default setting. It is, however, not the most secure way. In fact, it can expose you to a lot of potential threats. With your browser’s default configuration, hackers can easily access your program and even make internal changes without you knowing. The best solution to that is to configure all your browsers as well as your operating system before use. Doing that can greatly increase your security. Your computer probably has multiple browsers installed and that’s actually a good thing. It means you’ll be able to dedicate one browser for one activity only, limiting the risk of compromising your sensitive data. You can use one browser to pay your bills or purchase something online. You can use a separate browser for researching and random browsing. This way, if someone hacked the one you are using for general web browsing, the other browser won’t be compromised. Of course, this doesn’t mean that using separate browsers will automatically protect your data. You also have to play your part to make your browser the most secure browser. It can also help if you can make a complete browser comparison first before deciding which ones to use. Security holes will keep on popping up as more and more security threats emerge. One of the few ways you can protect yourself is by updating your browser. Make sure to follow your vendor’s instructions when updating your browser. If your operating system no longer supports newer browsers, it’s time to get that updated as well. Browsers like Chrome and Firefox have an auto-update feature by default. If yours isn’t enabled, check if your computer’s firewall is preventing the auto-update or someone else has configured it the way it is. A good anti-virus remains one of the best ways to stay protected on the internet. Just make sure that the one you are using is real as a fake antivirus software is already a security threat on its own. And if you already have one, keep it up-to-date. Using an expired antivirus is more likely to put your security at risk. While you might think that the antivirus that came with your computer is enough to protect you, it actually isn’t. You see, free antivirus programs aren’t that comprehensive. It can only provide limited protection and it can only detect certain threats. It has lower and slower scanning performance, too. Don’t skimp on your antivirus program and be sure to keep it updated. Extensions and plugins might look harmless but they can be extremely dangerous. They have access to your every move online. And because they know everything, you can just imagine the damage they can create. They know what you’ve been searching and they can capture your passwords. These extensions can even insert advertisements in the pages you visit. One problem with extensions is that they frequently require access to everything. For example, an extension that’s meant to make changes in Google.com will require access to everything related to Google. Most of the time, that includes your email and Google account. To stay safe, use fewer extensions and plugins as possible. If you aren’t using the ones already installed on your computer, uninstall them and stick with the ones you use frequently. If you are planning on adding more, make sure to read the permissions they require. Ads and pages that pop out of nowhere aren’t just annoying; they can also be dangerous. By using a pop-up blocker, you’ll be able to prevent those ads from installing harmful malware on your computer. They can also prevent your screen from cluttering. Now, if the website you are trying to access needs you to temporarily disable the blocker, remember to reactivate it once you are done. There are tons of untrustworthy websites on the internet. If you aren’t careful, you can inadvertently visit one of those phishing sites and expose your sensitive information. Phishing sites are sites that are made to look legit and trustworthy so that they can get your personal details. This includes your credit card number and password in your cached data. To stop that from happening, always turn on fraud protection. It can blacklist known phishing sites so you won’t be able to access them. Being able to log into your email or any of your accounts without typing your login details sound convenient. However, in terms of safety and security, it’s a totally different story. 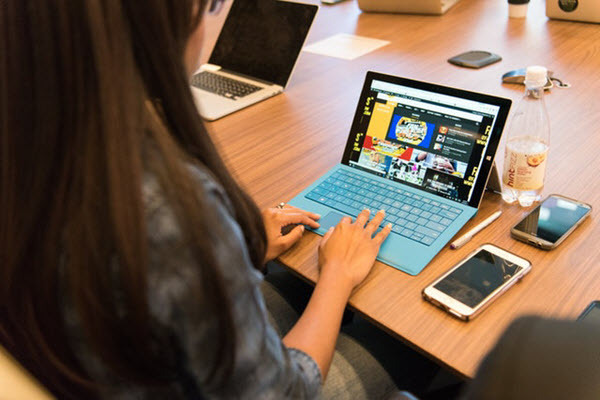 Just think about what can happen when your laptop or device gets stolen or lost. It’s like giving away your personal login information to everyone. For protection, always turn that feature off. You can do that by accessing your browser’s setting. If you are using Chrome, for example, you can open its Setting window, select Advanced, and make the necessary changes in the Manage Password section. In case you are using Firefox, access the Options window, select Privacy, and look for History. Once you are there, select Firefox will: Use custom settings for history and disable the Remember search and form history option. These changes don’t take a lot of time. In fact, you can complete them in less than a minute. The post 8 Easy Steps To Your Browser Security And Privacy appeared first on Dumb Little Man. In today’s business world, it is important that business have access to what they need when they need it. Whether through phones, tablets or computers, there is a need for convenience and reliability as far as access to information is concerned. Cloud computing facilitates all these. Without a doubt, it has transformed how several businesses operate. By migrating the cloud, your business can use this technology to enhance your operations in a couple of ways. In essence, cloud computing guarantees several benefits. Provided there is reliable internet access, it is possible to access cloud-based programs any time using a couple of devices. 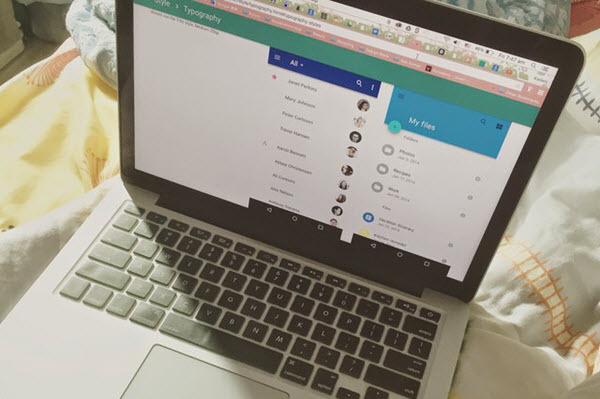 For a business with remote employees, nothing facilitates greater collaboration than this. 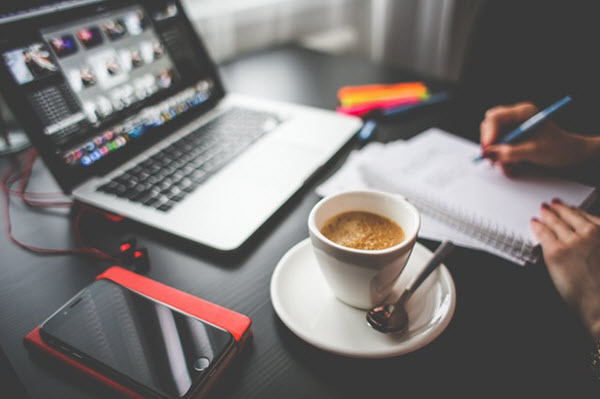 In today’s economy, we have a substantial number of small and medium-size businesses which rely on remote productivity as a critical aspect of their operation. 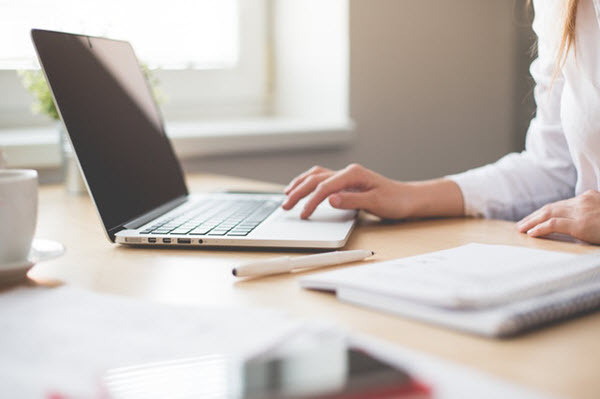 Using various cloud-based software, different teams in various locations can collaborate on the same documents without the need to email attachments, schedule calendars, and share task lists. This reduces the need for physical meetings. Participants only need to sign up for the services and pick up their tasks online without the need to install new programs or download other software. Businesses have always relied on data. The only difference is that businesses are more dependent on data now than before. Losing essential data can be detrimental to a business or an organization. For smaller businesses, you might not have the resources or time to implement an effective backup strategy. With cloud computing, you can easily retrieve the latest version of your data in case of an onsite system failure. Such system can also come handy in case of a disaster, such as fire. Remember, you have the option of using cloud-based services to back up your business data automatically. In case of any unforeseen interruptions, your business will be back up and running in a couple of minutes. 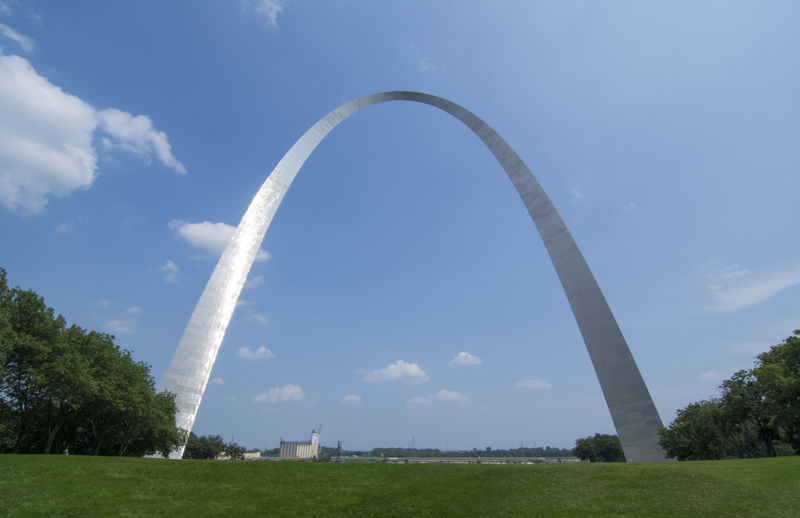 Several firms offering cloud services provide geo-redundant backup. That implies that your data is saved in multiple centers across various locations to enhance data security. We all understand that cloud-based services are often more reliable compared to promised services. This is particularly true in instances where the servers and other hardware components used in service delivery are aging. Cloud service providers boast of dedicated and highly experienced IT staff. When it comes to resolving various IT issues, you can rely on such team to provide better services in terms of reliability and speed. For any business, nothing is more important than knowing that there is a team you can always rely on in case of anything. With the kind of support offered by cloud service providers, you won’t always have to worry about your data. When you opt for cloud service, one huge burden lifted off of your shoulder is that of hosting the servers. Since the servers will be located off-site, you can sit back knowing that their management is an experienced IT staff. Since there is easier access to resources as needed when dealing with the cloud, there will be less time involved in starting these services. It is also clear that several smaller businesses have limited IT experts and resources. Outsourcing cloud computing services give them an opportunity to concentrate on the other aspects of their business while cloud service providers handle the rest. For smaller businesses that are out to edge or rival the big names in the market, cloud computing provides an opportunity to be more competitive and claim their fair share of the market. While it is true that cloud computing comes with multiple benefits, it will not be fair to ignore the possible setbacks that can come with this technology. Just like any other technology, it takes time to set up and adapt to a new system. You will need to train your personnel, even in the slightest ways possible. In addition to that, there is also the need to establish a very effective troubleshooting system during and after the system is launched. Always remember to never ignore security risks when considering cloud computing services. The rate of cyber crimes is at an all-time high. If you are going to use any cloud service provider, make sure that they have all the answers to any security concerns you have. Try to understand the contingency plans they have in place in case of a security breach. Only after that should you sign on the dotted lines. The post 4 Ways Small Business Can Become More Efficient Through Cloud Computing appeared first on Dumb Little Man. If you are aware of the developments in technology, then you have probably heard about Artificial Intelligence (AI). For a lot of people, it’s too complex or high-tech so they don’t really pay a lot of attention to it. In fact, even small businesses don’t think much of AI. They believe that only big tech companies like Apple and Google can utilize it. However, that’s not true. AI has numerous benefits for small businesses. It’s something you cannot ignore if you want to stay ahead of your competition. Today, open-minded businesses have started using AI to create a business logo, respond to emails, comb the Internet for leads identification, help customers with chatbots and a lot more. 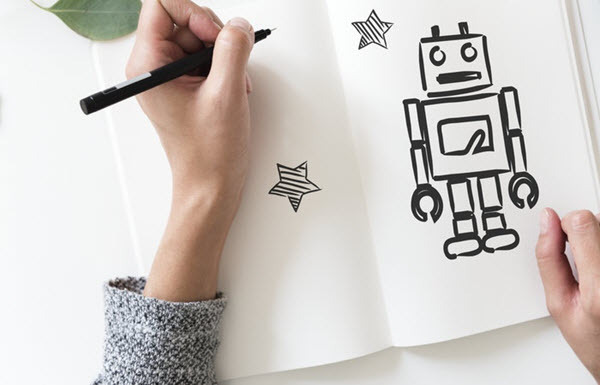 If you have not seriously considered AI automation for your business yet, then the following 5 reasons can surely convince you. There are plenty of AI tools designed specifically for bookkeeping that you can use. While many offer help with the basic data entry tasks, some are more advanced and can easily perform many roles. You can use it in reading and preparing invoices, set invoice reminders, release payments on schedule and more. So, instead of expanding your accounting department, you can invest in an AI bookkeeping program which is more affordable and highly useful. No matter how skilled your sales reps are, they will always have limitations. For starters, one can handle only a certain number of leads at a time. Secondly, they need a certain amount of time with every lead to learn about their personality, pain points, opportunities for connection building and many other aspects that are required for their nurturing. However, with AI automation you can take the entire process to the next level and benefit from increased productivity. An AI program designed for lead nurturing can read and respond to the emails of your prospects using a list of set messages and the Natural Language Processing technology. It can also go through the past conversations you have had with your leads to pinpoint important bits of information. Most importantly, it can work 24/7 since it can function without human intervention. 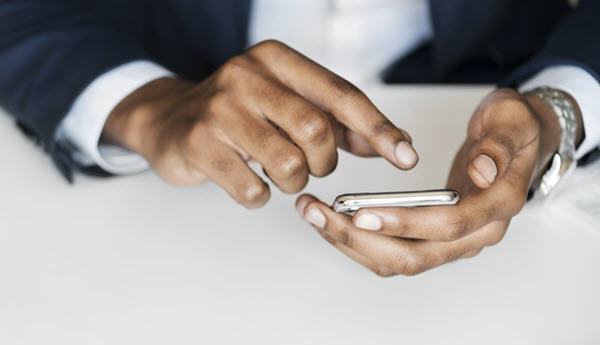 A number of studies have found that customers find it more comfortable to inquire about the services or products of a company through messaging, especially via online chat as opposed to voice calls. However, hiring a full-time customer executive can be expensive for a small business. Again, this is where AI automation can be a great option. Not only AI-powered chatbots are highly popular today, you can also find some highly affordable options easily. You can install one of these on your website so that when your customers need some information, it will be readily available. In addition to that, having AI-powered chatbots can also make your website more attractive. Usually, it’s hard to find quality and affordability at the same place. However, AI automation seems to have changed that. This is because it can help you with your company branding in many ways and at modest pricing. There are companies like Tailor Brands that offer an entire suite of branding tools- from logo creation to social media banner creation at a fraction of the price that you would pay to a graphics designer. You are probably already familiar with virtual personal assistants, such as Apple’s Siri or Microsoft Corona. Today, a new range of similar assistants is emerging and they are even more intelligent and more suitable for businesses. 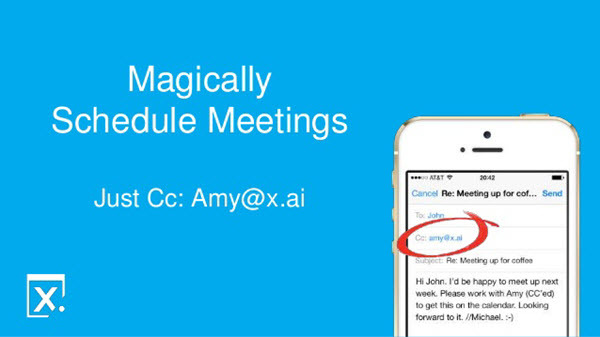 For instance, there is Amy from x.ai that can arrange meetings for you or Pana that can arrange your travel. AI has matured enough today that it can be utilized in different ways in every industry. It’s now easily available at affordable costs, too. If you haven’t considered using one for your business, it’s probably the right time to reconsider your strategy. 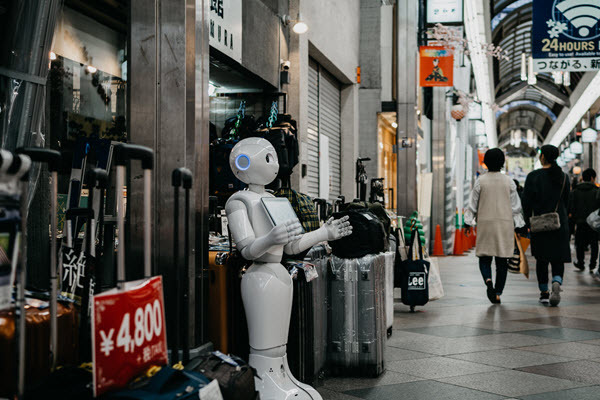 The post 5 Reasons Why You Should Consider AI Automation for Small Business appeared first on Dumb Little Man. If you want to protect your online privacy and prevent unwanted people, such as government agencies and advertising companies, from tracking you and using your private information to their advantage, there are a few ways as effective as VPNs to do it. However, not everyone is really aware of what they really are and their advantages. To help you out, we’re here to discuss how to set up a VPN and how you can start using it. As the term suggests it, a Virtual Private Network or VPN is a network of servers you can connect virtually (using the internet instead of a physical connection) to enhance your privacy. It does this by encrypting all the traffic that comes from your device and then rerouting it through one of the servers that compose it to mask your online trace. Each part of the process presents a benefit for the user. The encryption of communications between the user and the VPN makes it impossible for Internet Service Providers and other eavesdroppers to snoop on your online activity. On the other hand, tunneling your connection through a VPN server makes websites think it is the server that’s accessing them when it’s actually you who’s doing it. First, this prevents the website from tracking information about you coming from your device. You’d be accessing every website as if it were the first time you’re doing it and advertising companies would be unable to tailor ads for you. The second benefit of tunneling is tied to the location of the server. Servers located in different countries allow you to access web content as if you were connecting from the same location of the server. This lets you access content from websites that isn’t available in your region. To use a VPN, you have to find a provider of the service online. This is perhaps the hardest part of the process since there is a very wide variety of VPN services available online. Not all of them are equally good and some of them may even end up doing more harm than good. We recommend you use one of the following providers. We have already tried out and verified the quality of their service. The first thing you have to do after you’ve picked a VPN service provider is to buy one of the subscription plans they offer. Keep in mind that the longer the subscription time you buy, the more value you’ll get for every penny you spend. Most VPN providers will ask you to download their software in exchange for letting you connect. This software client contains all the options you need for a safe connection that suits your needs. After you’ve installed the software, you have to open it and configure your connection to your specific needs. Most of these settings will come preconfigured for the most common and convenient settings, but you might want to tweak it a little bit. 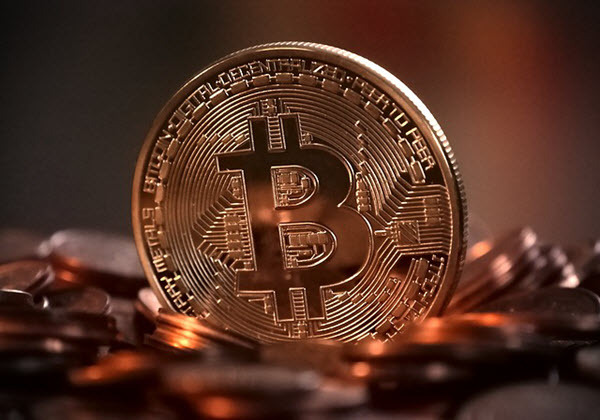 Particularly regarding communication protocols and encryption algorithms, you’ll want to use OpenVPN and 256-bit AES encryption, respectively. These are the most reliable settings you could wish to have on a VPN, so they are the ones we recommend you to use. If you’re curious, you can look up any other settings online before messing with them but do this with extreme caution. After you’ve dealt with the technical details, it’s time to choose the location of the server you’ll be connecting to. This is important if your goal is to bypass the region lock of a website. For instance, if all you want is to be able to access Netflix’s full library, then you’ll want to connect to a server in the US. VPN services usually let you decide this using a drop-down menu on their software. After all this, you’re ready to hit the connect button and start browsing the web as you’d normally do. You’ll now be completely anonymous to the websites you visit. Your ISP won’t be able to monitor your online activity, too. It’s only responsible for us to spread the benefits of VPN usage to contribute to a safer internet. They are a very powerful tool that helps you protect your online privacy and that of your loved ones. The post How to Set Up a VPN appeared first on Dumb Little Man.